The beaches on Ko Mook aren't quite as white as on the Parhentians, but the place is more authentic. 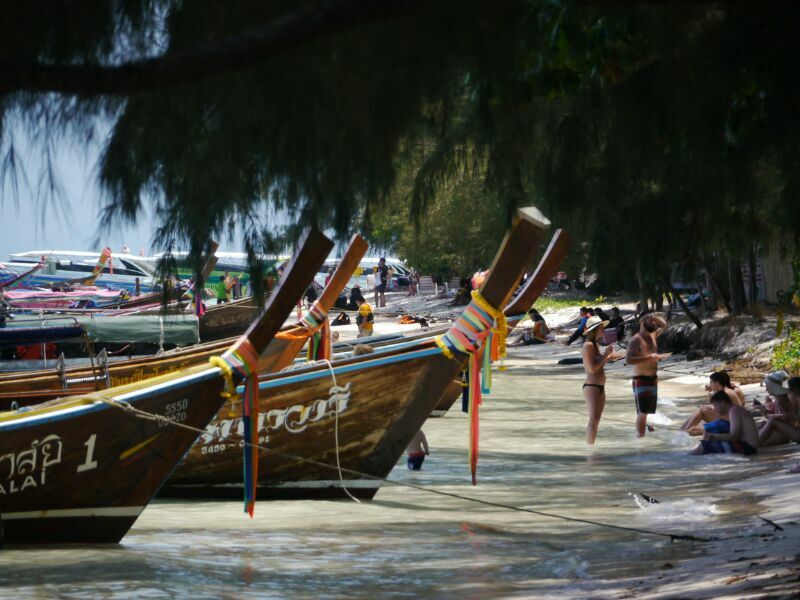 Accommodations are more basic, and the locals live just around the corner in, for Thailand, very simple wooden houses. These people do not have much money. Otherwise it's another tropical island paradise. 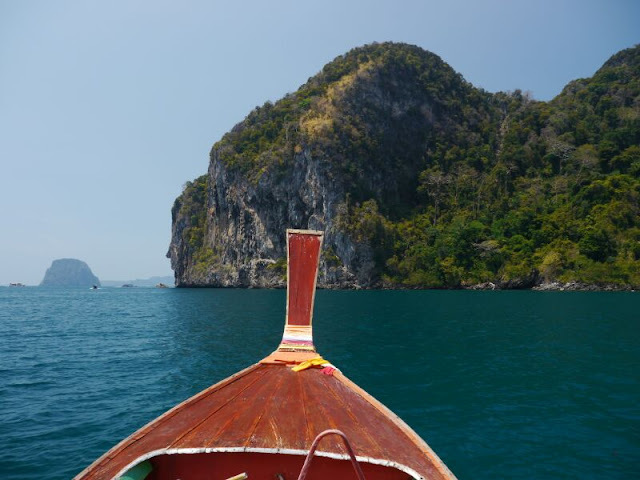 They run long-tail boats to all the neighboring islands, with good places for snorkeling or just exploring the jungle interiors. Ko Kradan has a so-so coral reef, but so many fish that one gets rear-ended all the time. 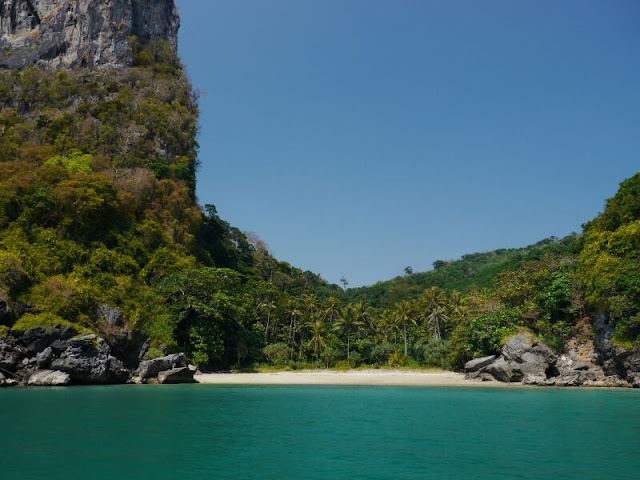 Ko Mook has a long cave with a very low ceiling one can swim through at low tide. It opens up to a kind of cenote, a small beach and some trees completely surrounded by towering vertical cliffs. Very impressive. The screaming boatloads of school children they drag through the place takes away from the wonder a little.